With a digital, cloud-based, future on the horizon, preservation is a hot topic within the gaming community of late. 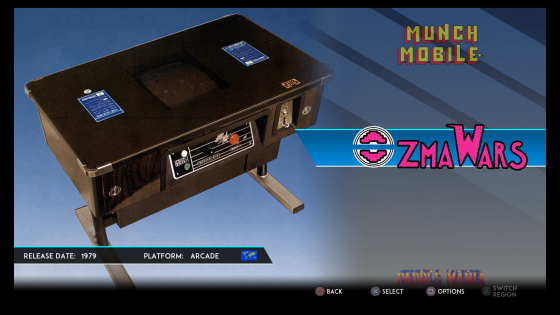 If you’re all for ensuring videogames both old and new are available for future generations, SNK 40th Anniversary Collection has probably caught your attention already. It’s a package full of early SNK classics and oddities, each presented and showcased at their best. Having worked on numerous retro collections in the past, developer Digital Eclipse is no stranger to rounding up and revitalising vintage titles. This much is evident even before picking a game to play. It’s a collection presented in a lavish fashion, featuring just about every option you can imagine. A choice of screen sizes/filters and the ability to save anywhere and rewind gameplay is just the tip of the iceberg, as Digital Eclipse has gone out of their way to not just include the US and Japanese ROMs of certain titles (where available), but the NES versions too. A few other features, such as a jukebox and a museum full of scans and inciteful titbits, round the package off nicely, making it feel like a labour of love. To really appreciate SNK 40th Anniversary Collection, though, you need to understand what it is. An odd statement, perhaps, but this isn’t a collection of SNK’s biggest and most popular titles such as Metal Slug, Fatal Fury, and King of Fighters. Instead, it’s a collection focusing on often forgotten games from SNK’s early years. The Ikari Warriors trilogy is the most renown, with Time Soldiers perhaps being the second most, if only because of its numerous 8-bit microcomputer adaptations. The remaining 19 titles date as far back as 1979. Vertical shooters are the most predominate genre, which impacts the collection’s variety somewhat, but this is no fault of Digital Eclipse – it was simply SNK’s line of output at the time. Alpha Mission, Chopper I, Bermuda Triangle, and World Wars do at least have different mechanics, while Bermuda Triangle also has the blessing of fabulously oversized sprites. When playing through the collection more than a few themes become apparent, and not just within the games themselves. Foremost, SNK put out a boatload of military-based shooters. Guerrilla War holds up well, being slightly more advanced than Ikari Warriors. 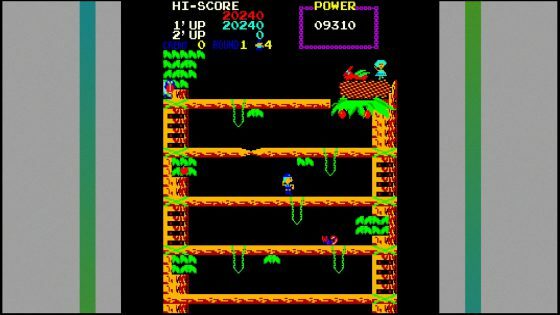 1988’s POW is a simple scrolling brawler that manages to entertain, while top-down tank shooter T.N.K III still provides a stiff challenge. This is especially the case for the NES version. In fact, most of the NES versions are far tougher than their arcade counterparts, originally intended to take weeks of practice to complete. The ability to rewind makes them much more palatable nowadays. As somebody only mildly familiar with the Ikari Warriors series, it was fascinating to discover that the series evolved from a typical vertical run and gunner, to a far-fetched sci-fi shooter with digitised speech, and finally a fisticuff-based brawler with colourful and chunky sprites. Speaking of fisticuffs, there’s Street Smart – SNK’s first beat’em up. It’s an odd thing, with characters sliding along the ground as if it were covered in ice. It’s also one of the easiest games present, turning a blind eye to button bashing. The 1990 NES action-RPG Crystalis is easily the most time consuming, meanwhile. It’s a shame SNK didn’t pursue this genre – it’s a pretty decent Zelda-alike, pushing the NES hard. Going back to the subject of themes, you’ll no doubt find that most games here are a pleasant way to spend 30 minutes or so. 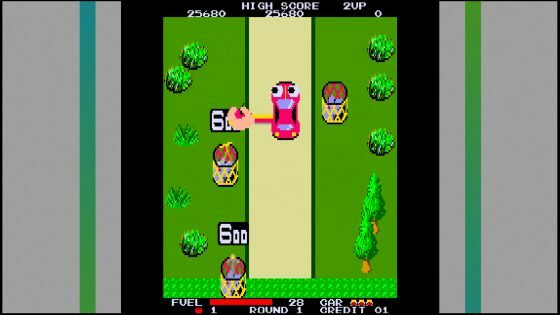 As arcade games, they were always intended to provide short bursts of entertainment (while trying to extract as much change from arcade goer’s pockets as possible). It’s the games that veer on the warped side that leave the biggest impression. Psycho Soldier is a fun auto-scrolling action platformer with some surprisingly clear, often nonsensical, speech. Beast Busters is the undead alternative to Operation Wolf, horizontal shooter Prehistoric Isle provides some Jurassic larks, while Munch Mobile is a very peculiar ditty that calls for acute precision, involving a car with stretchy arms. 1981’s Fantasy also has some amusing speech, being an adventure game set over several screens that uses just the joystick. Incidentally, many games have sensibly re-mapped controls, with some shooters benefitting from twin-stick set-ups. As for unexpected delights, Search and Rescue is something of a hidden gem – a top-down sci-fi shooter with superb pixel art and space zombies that explode in a satisfying way. 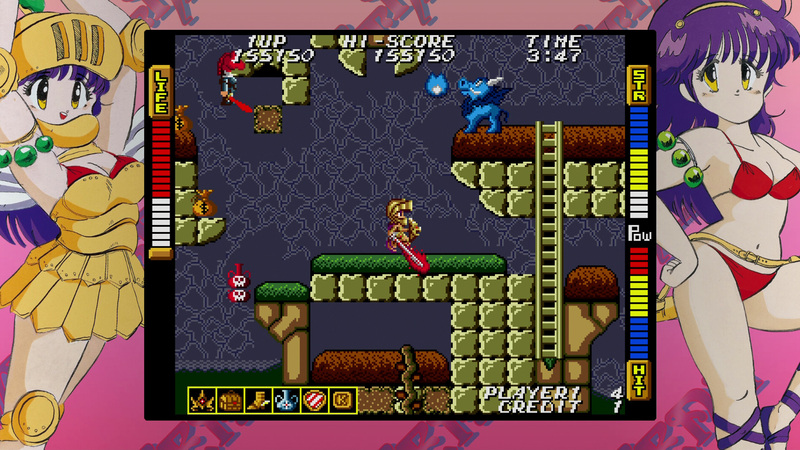 Athena seems to be SNK’s take on Wonder Boy, being an early platformer that’s full of personality. It’s hard to imagine the top-down tennis game Paddle Mania – which feels more like squash – finding fans, however. The same can also be said for the garishly coloured and rather crude ‘gallery shooter’ Sasuke vs. Commander. Thankfully for trophy hunters, Digtal Eclipse hasn’t associated trophies with the poorer titles. Shrewd. Suffice to say, not every game is an outright classic. When viewed as a whole, though, the package comes together to offer something genuinely fascinating. As pleasing as it is to see individual retro re-releases from the likes of SEGA, Nintendo, Data East, and Nichibutsu appear on the digital storefronts, by providing valuable context this collection offers something far greater, putting every game into perspective to make each feel as significant as the last.